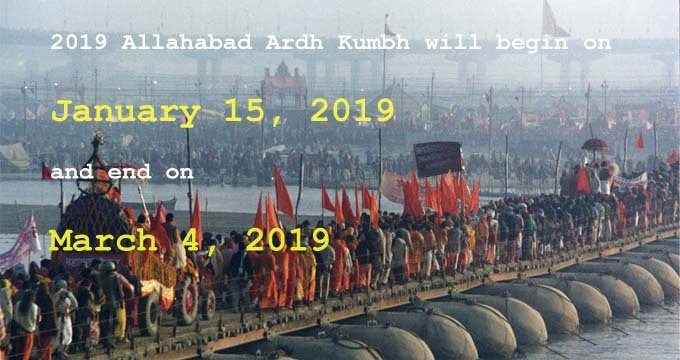 Haridwar will play host to the Kumbha Mela of 2010. Let us know all about Haridwar Kumbhmela 2010, along with the hotels in the city. Haridwar, the venue for the Kumbha Mela of 2010, is one of the holiest cities in India. Considered to be blessed by Hindu Trinity - Brahma, Vishnu and Shiva, the city plays host to the 'Ardh Kumbh Mela' every sixth year. During this time, it is visited by thousands of devotees, who converge at the place where river Ganga enters the plains from Himalayas, to take a holy dip on the special bathing dates, specified as a part of the mela. Hardwar, situated on the foothills of Shivaliks, holds great religious significance for Hindus. It is the first place where Holy Ganges meets the plains, after coming down from the gigantic Himalayas. It also serves as home to one of the holiest bathing ghats in the country, known as 'Har Ki Paudi'. It is believed that taking a dip in the river, along the ghat, rids a person of all his sins. Every year, thousands of devotees can be seen bathing at the ghat. Apart from playing the host to Ardh Kumbha Mela and 'Har Ki Paudi', Haridwar is also known for being home to a large number of temples. It is among the seven sacred cities of India and is also considered to be one of the Shaktipeeths. The city is considered to be the gateway to the abode of Gods, as it provides the entry point to the Char Dham (the four main centers of pilgrimage) in Uttarakhand, namely Badrinath, Kedarnath, Gangotri, and Yamunotri.